This section will address the issue of female genital cutting, often referred to as female circumcision or genital mutilation. 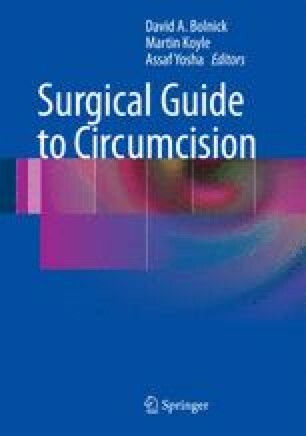 This section will describe the forms of female genital cutting, where it is practiced, the role of culture and beliefs about gender roles associated with the practice, efforts to restrict or eliminate the practice, and end with some thoughts on how Western medicine and culture think differently about male circumcision than female genital cutting. UNFPA-UNICEF Joint Programme. Female genital mutilation/cutting: accelerating change. 2008. Available at: http://www.unfpa.org/public/publications/pid/2944. Accessed Nov 2009. United Nations Children’s Fund (UNICEF). Female genital cutting: a statistical exploration. New York: UNICEF; 2005. http://www.unicef.org/publications/index_29994.html. Accessed Nov 2009. World Health Organization. Female genital mutilation. 2005. Available at: http://www.who.int/reproductivehealth/publications/fgm/fch_wmh_005/en/index.html. Accessed Nov 2009. US Code 18 U.S.C. § 116: US Code – Section 116: Female genital mutilation. http://codes.lp.findlaw.com/uscode/18/I/7/116. Accessed Nov 2009. United States Court of Appeals for the Seventh Circuit. NWAOKOLO vs IMMIGRATION AND NATURALIZATION SERVICE No. 02–2964. Petition for review of an order of the Board of Immigration Appeals No. A27-226-360, 27 Dec 2002. Available at: http://www.unhcr.org/refworld/country,,USA_CA_7,,NGA,,47cfeb4b2,0.html. Accessed Nov 2009.